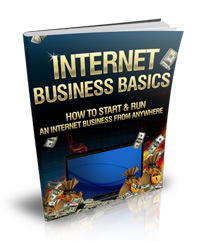 * What an Internet business is and how you can benefit by selling products and services online. * What SEO is and how it can help you get your web pages on top of the search engines for people to see. * How to get started with SEO. * Affiliate marketing tactics and how you can get started by promoting other people’s products for a commission. * How to get started with pay per click advertising. * How to get started with SEO copywriting.